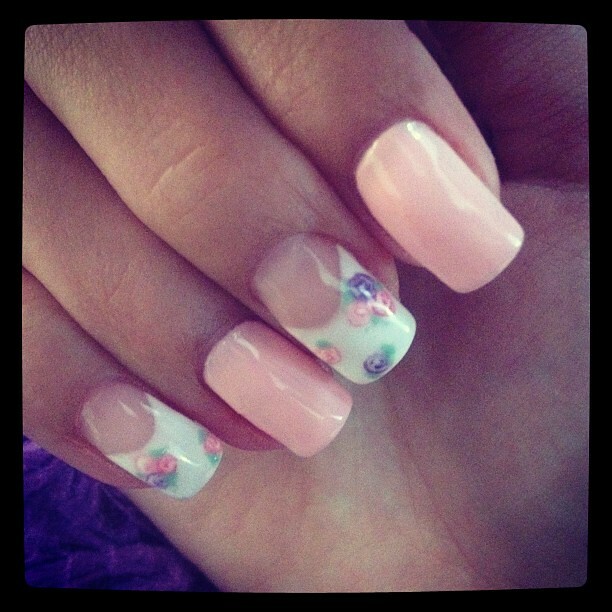 Here's my all time favorite set of nails by The Nail Status. Met up with the girls on Saturday and town we went. Made appointments a few days before for the 3 of us. 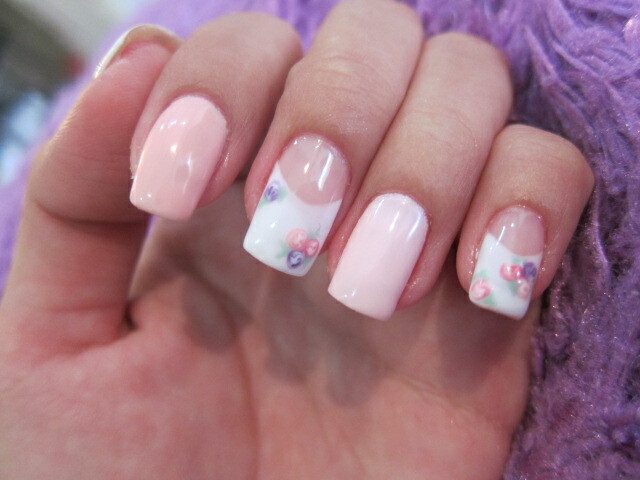 I told Mabs that i wanted this set of simple flora nails this time round. My last Royalty set lasted me a good 2 months without breaking and all (It was a set of gel nails). Mabs ticked me off countless of times cause i was so so fidgety! Okay. for those on twitter/ instagram (user: zoeraymondtan would have seen this beautiful set. look at those little pink/purple flora! There was a girl who asked why the french are so thick, the french are slightly thicker than usual so we can have the pretty flowers drawn on! 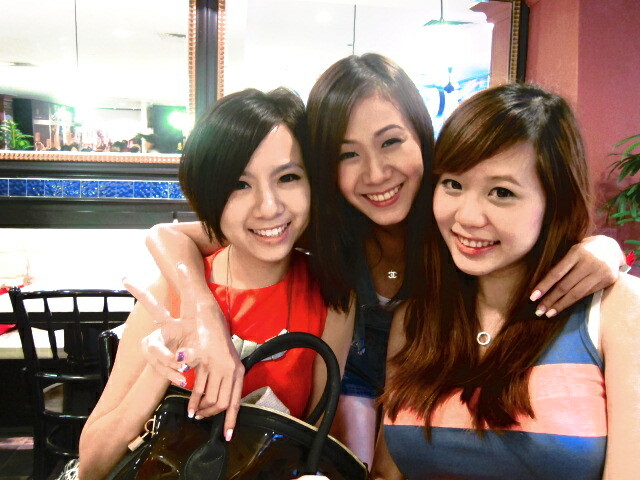 Went down to Old Town White Coffee to meet En. 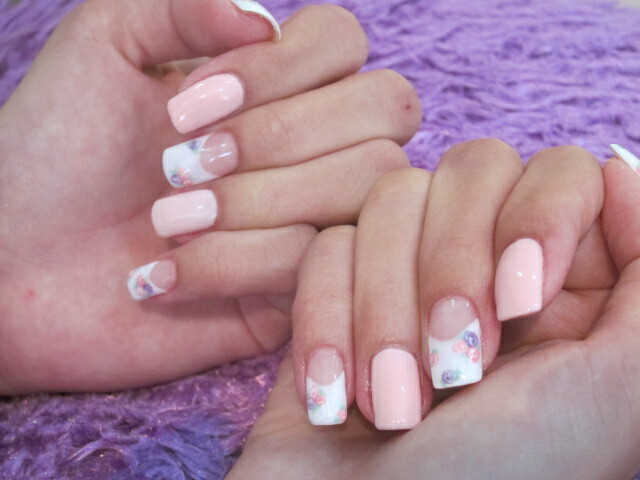 She left us earlier after her gelish manicure was done to meet her insurance agent. 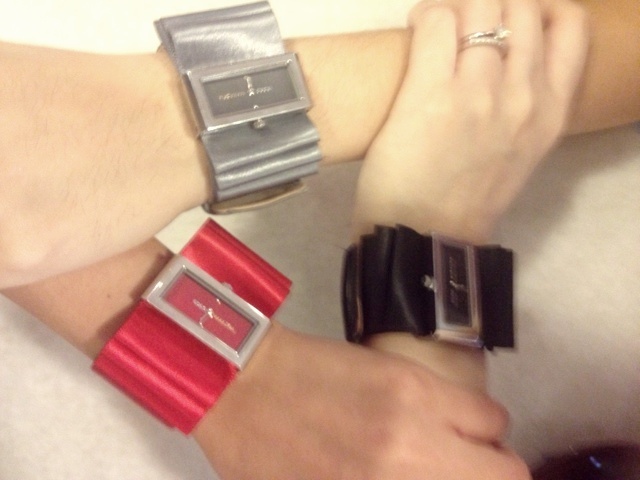 And we three wore the same watch! Hi, can i ask what is the brand of your watch? hihi can i know the brand of your watch ? May I know this watch is from where? What brand is this? zoe,i heard u broke up a marriage became 3rd party ?